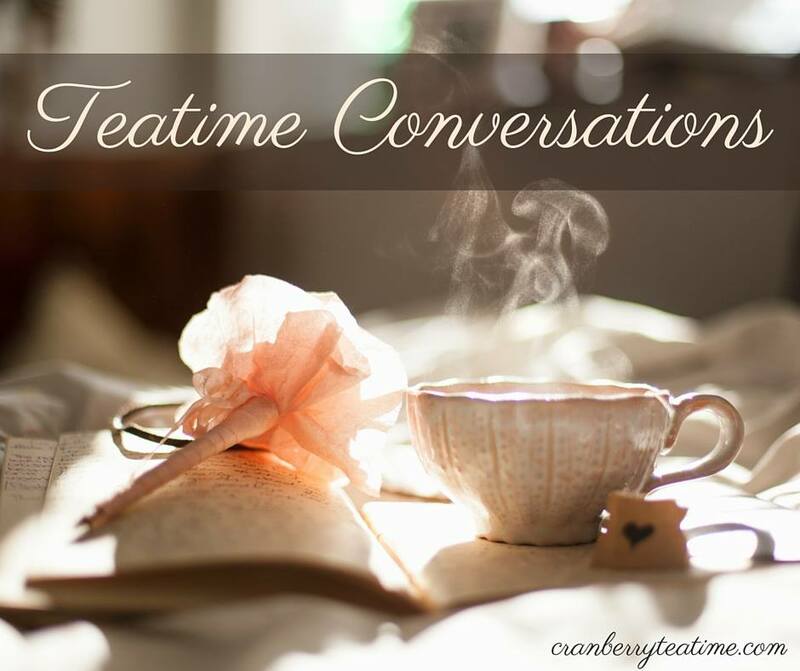 It is Invisible Illness Week, but whether you have an invisible illness or not, if you know Jesus as your Savior, I have encouragement for you today from God’s Word. We all face hard things in life. 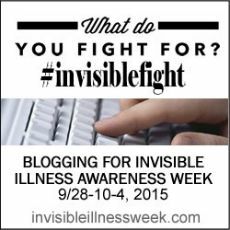 You may be fighting an invisible illness, or you may be struggling in some other area of life. No matter what you are going through, I encourage you to persevere in the fight of faith! Keep your eyes on Jesus and “pursue righteousness, godliness, faith, love, steadfastness, gentleness. Fight the good fight of the faith. Take hold of the eternal life to which you were called and about which you made the good confession in the presence of many witnesses” (1 Timothy 6:11b-12). Sometimes the trials of life seem overwhelming. It is easy to look at our problems, or see the suffering around us, and feel like we can’t continue to persevere. But dear friend, with God’s strength, we can persevere! We need to keep our eyes on Jesus so that we do not grow weary in the fight. Hebrews 12:1-3 always helps me to look to Jesus. Jesus endured more suffering than you or I ever will. We have Him as our example, and we have Him to give us strength in the hard days. We don’t have a Savior who is far-removed from suffering. No, we have a Savior who willingly entered into suffering on our behalf! He chose to enter into our world, and He took on the limitations of the human body. He became tired and hungry. He faced temptation. He was mocked and scorned. He suffered with us and for us. He came because we needed Him. He suffered the wrath of God on the cross so that we might never have to. He came to save us from our sins and to redeem us as His own! Jesus has suffered so much for me. He has forgiven me of my sins, and He has promised me a home in Heaven! I will gladly endure hardship for Him. I will suffer through anything He calls me to suffer. When I feel overwhelmed in the fight of invisible illness or the fight of faith, I simply have to look to Jesus for strength to endure. Oh, friend, look to Jesus. Keep on keeping on. May we be able to say, “I have fought the good fight, I have finished the race, I have kept the faith. Henceforth there is laid up for me the crown of righteousness, which the Lord, the righteous judge, will award to me on that Day, and not only to me but also to all who have loved his appearing” (2 Timothy 4:7-8). Your reward is coming! Look to Jesus, and fight the good fight. 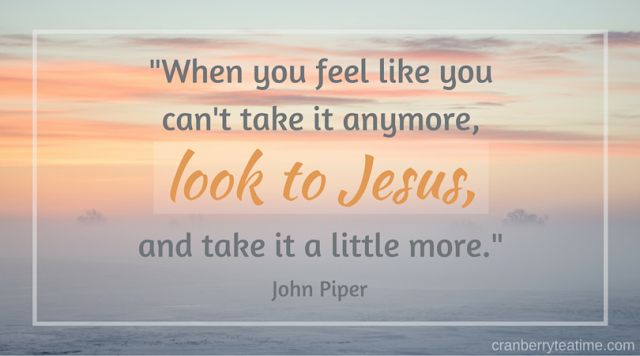 When you feel like you can’t take it anymore, look to Jesus, and take it a little more.